Are you weighed down by your disabling upper back pain? It is estimated that 90% of US citizens have endured some sort of back pain during their lifetime. Every year, billions of dollars are lost due to difficulties nearly half the adults have with such an interfering pain while doing their jobs. Maybe you are one of those who have felt the undesirable impacts of upper back pain, but surely you want to know whether there is really a viable solution to your problem. Here is some good news for you! In general, back pains are divided anatomically into different groups. The thoracic part of the spine which is located between the neck and the lumbar is the source of upper back pain, also called thoracic back pain. Even though this part of the spine is very strong to bear the weight of the upper body, due to some degenerative changes it may become the source of your pain. Although most upper back pains are not very severe, they should be considered more seriously than the pains of the other parts of the spine due to its pathological features. You may feel a sharp, dull or burning pain near the spine or along the related nerve fibers. Muscle stiffness may be present. You may also have some numbness in arms, chest, abdomen and legs. Losing the control of bowel or/and bladder are another signs. You may have signs of fatigue in your arms and legs too. 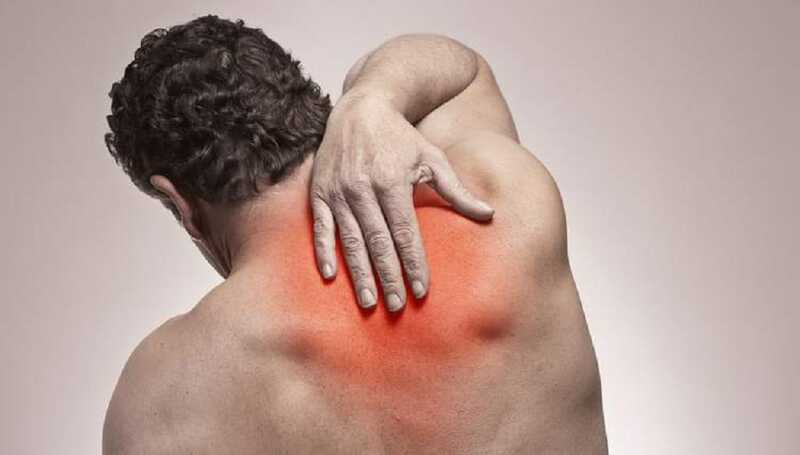 Upper back pains could be a sign of more serious diseases such as cancer or infection. The source of your upper back pain could be muscular lesions due to overuse or injury, spinal facet joints deformities, problems of the chest soft tissues, herniated discs and degeneration of the spinal disc. Some factors intensify the condition including general weakness, improper posture and repetitive movement of the body. There may also be a trauma background. Fractures of ribs and vertebra could also contribute to the problem. In upper back pain cases, surgery is rarely needed. In fractures of vertebrae if not treated by medication and rest, then surgery (e.g. vertebroplasty) is the resort. In osteoporosis, drugs like bisphosphonates are administered to prevent further fracture. Kill your old unwanted pain! There are viable options open to you other than living sadly with your upper back pain! In a credible pain care center, an accurate upper back pain treatment could relieve your pain forever. Dr. Kevin Li, MD, is a specialist in interventional pain management in Los Angeles. With the cutting-edge interventional therapies offered in his pain clinic in Los Angeles, he is confident of developing a comprehensive, yet individualized upper back pain treatment for you. Contact his pain management center in Los Angeles today at (626) 538-8950 to make an appointment. And remember, nothing could deny a pain-free sweet life from you!